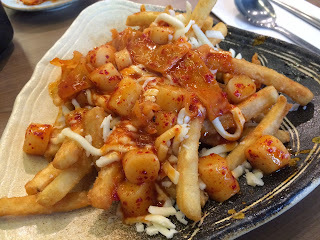 I went to GaNaDaRa, a Korean restaurant, to try Tobboki Poutine. 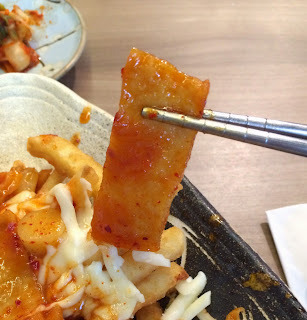 * Tobboki is a Korean sticky rice cake also spelled as teokbokki, topokki and etc. 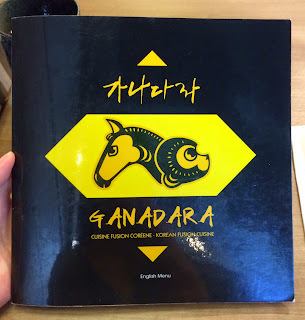 Last time I was here in April, the restaurant was closed for renovation. It open at 11:30 AM and I got there a couple of minutes before, but the restaurant was already serving food and about a half of the space was filled. When I walked there, there's no sign on the door or the window and I walked pass it without noticing the restaurant. 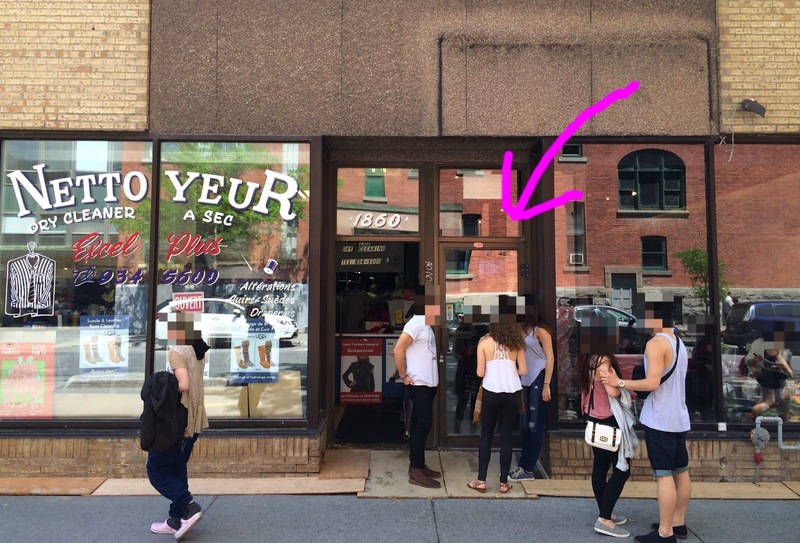 There's no line outside so that it's hard to know. 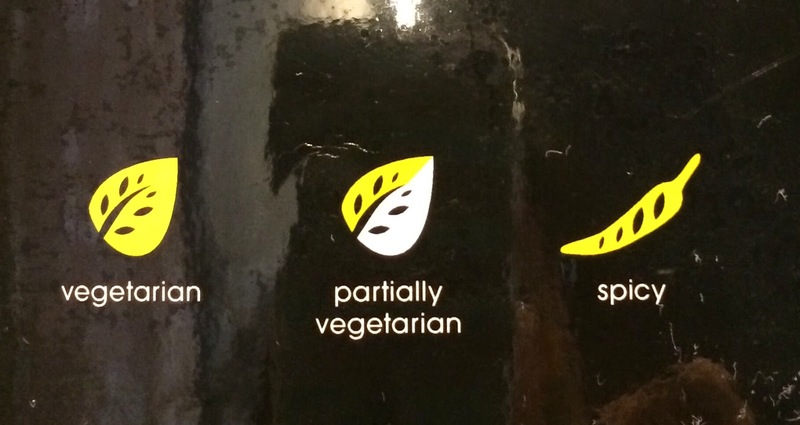 It's the right side with a pink arrow. Inside was very clean and Korean music videos were shown on the TV screen. All the employees were helpful, friendly and kind. 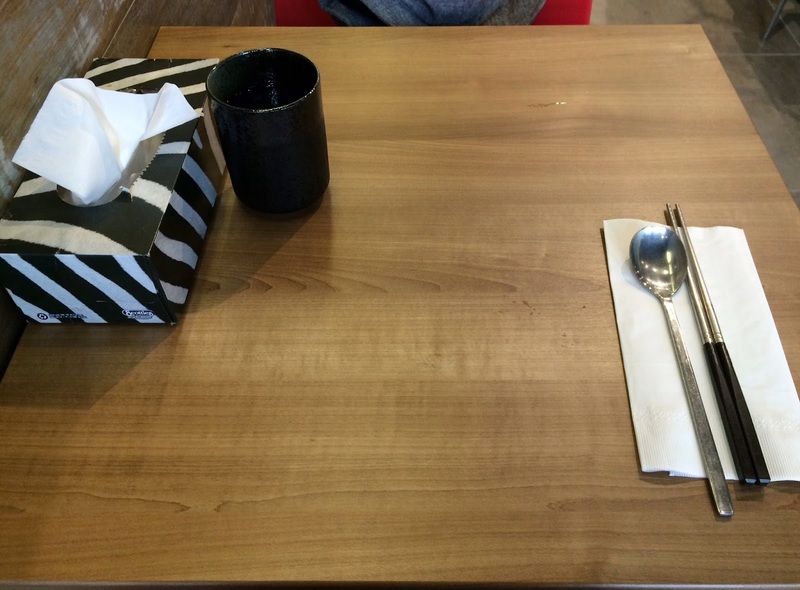 Soon water and menu were brought. There're many kinds of Korean foods inside like tobboki, ramen, soup and savory pancakes. 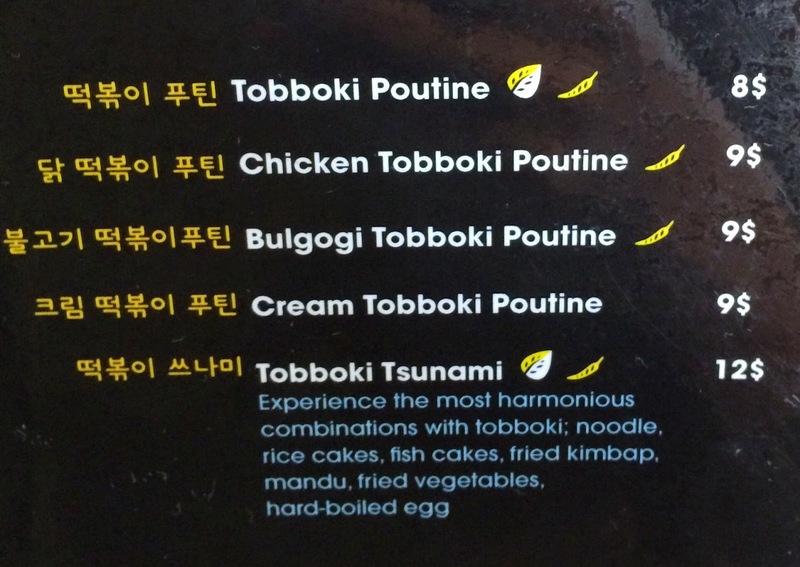 This is the list of poutines, and I chose the top one "Tobboki Poutine." The icons used for Tobboki Poutine were were "Partially Vegetarian" and "Spicy." 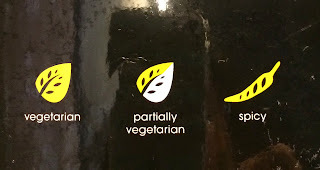 However, I don't really understand the concept of "partially vegetarian." Soon after I placed my order, they brought me a small plate of kimchi. 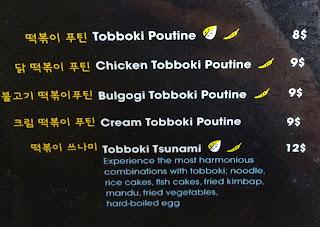 In about 5 minutes or so, Tobboki Poutine was served. 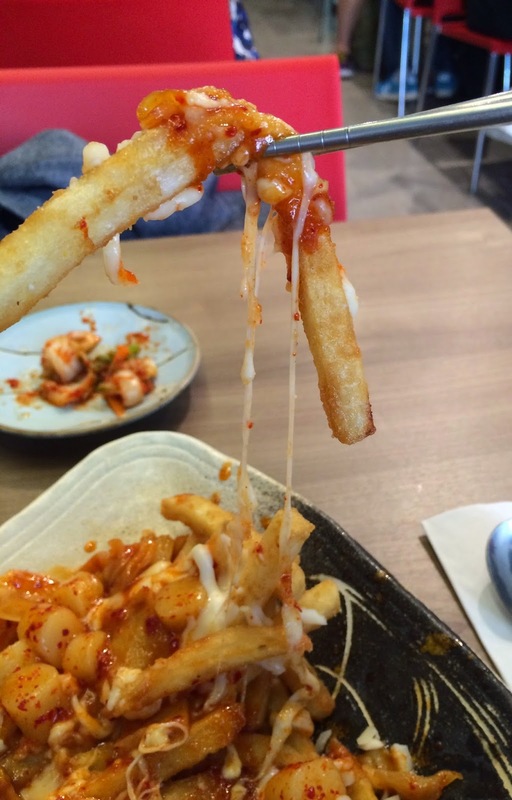 I saw fries, cut tobboki and shredded cheese. All the cheese on the plate was white soft cheese. 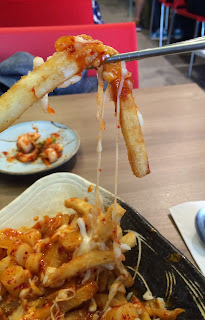 The cheese was melted and stringy. 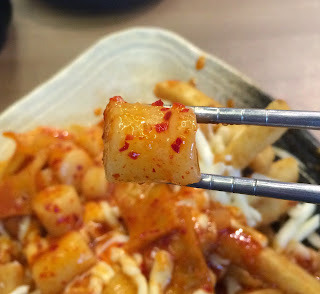 Bite-size tobboki was chewy and the sauce was sweet and spicy tobboki sauce made with cochujang and red peppers instead of gravy sauce. Fries were crispy outside and inside was moist. The batter was crunchy and subtly sweet. 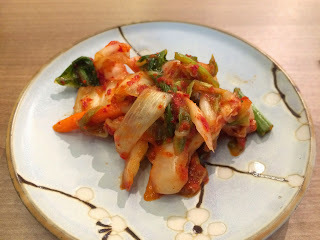 There're thinly flattened fish cakes (minced and steamed fish) and also some Chinese cabbage leaves. The sauce had a hint of spiciness but also had sweet flavor so that I didn't think it's that spicy and didn't hurt my mouth. 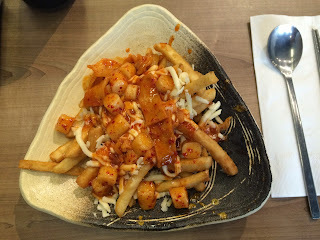 I wish they used real cheese curds but I liked the sauce and the fries very much, and I'd like to visit again to try some other things besides poutines. 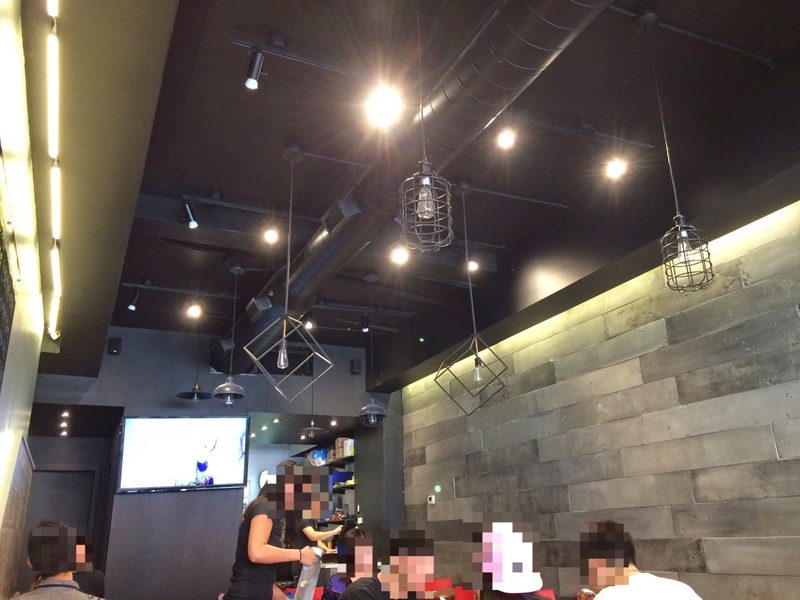 There's a cash register to pay by the kitchen. Around noon, there're people waiting inside and outside, and I saw some left from the line as it's quite busy. 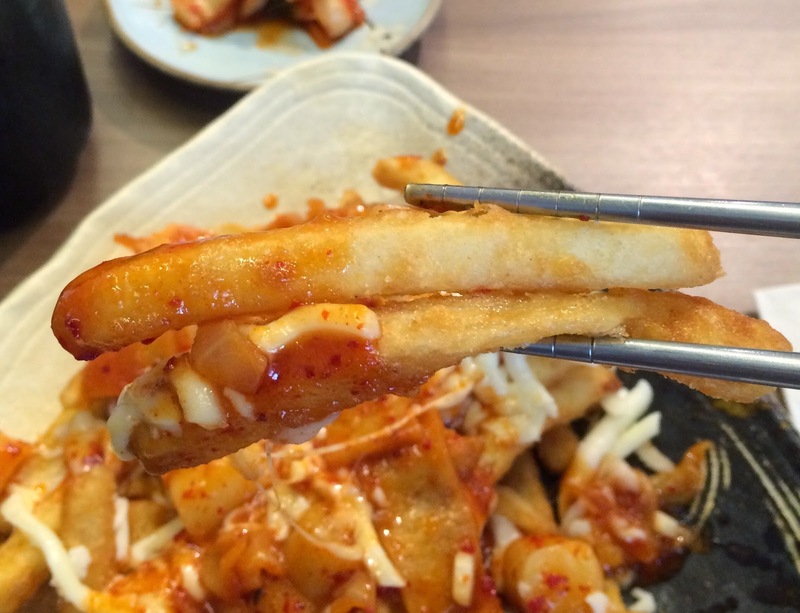 This is definitely my kind of twisted poutine!! 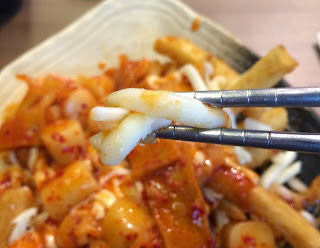 Love teokbokki!